CAMA has an extensive collection of large internal combustion engines. 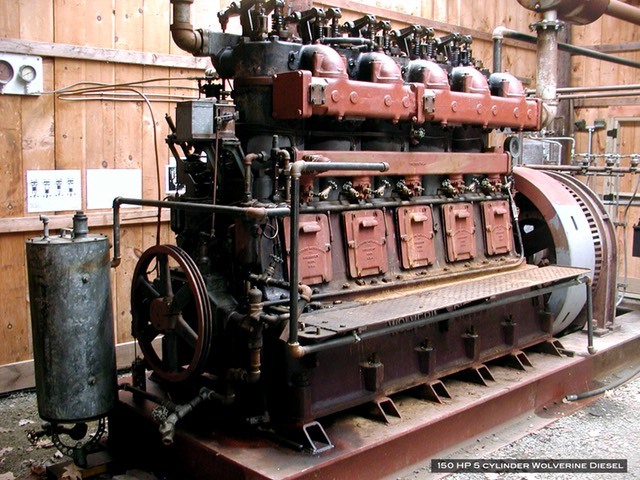 These engines vary in complexity from relatively simple "hit and miss" single cylinder engines up to a giant 5 cylinder Wolverine diesel, built in Bridgeport, CT and standing 10 feet tall. Engines span the early years of internal combustion from the time when this mode of power was replacing steam as the power source of choice.